Meganisi (Meganissi) is just 4 nautical miles away from Nydri in Lefkada, from where ferry boats and caiques depart to our earthly paradise. 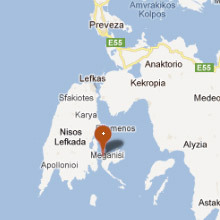 In summer time, ferries depart every two hours to Meganisi and the trip is 25 minutes long. The ride is simply magnificent and the minute the ferry or caique departs from the port, you will instantly feel relaxed. 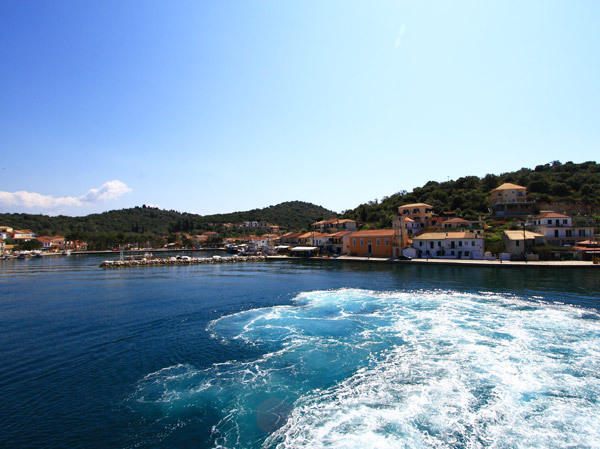 Sit back and get ready to witness the unique landscapes of Meganisi, as the ferry approaches our beautiful island. You can directly reach Meganisi from the port of Lefkada by taking the high-speed boat ‘Aghialos’ (45 minute trip for passengers only). Meganisi Island has a good road network and well organized public transport with bus trips being more frequent during summer months so that visitors can easily travel from one place to the other. 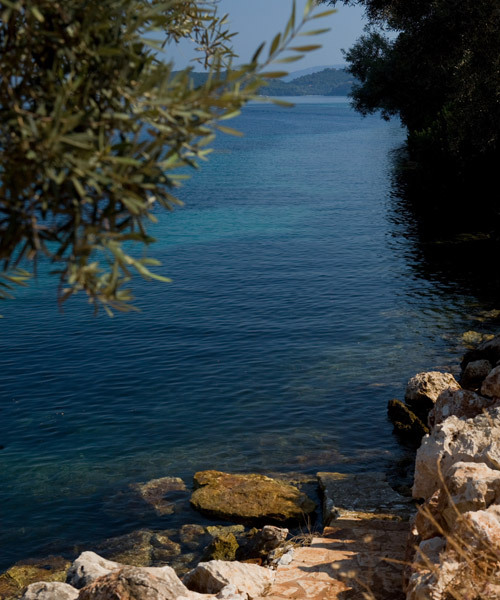 In front of Mega Paradise Villas there is a specially formed path for direct access to the sea. 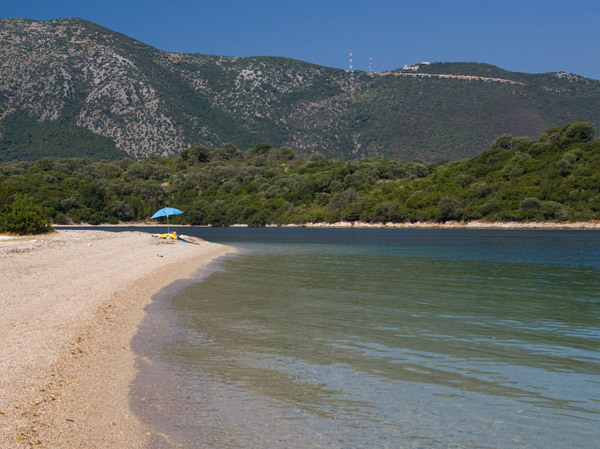 Endless beaches at your disposal Meganisi boasts magnificent beaches with thick-grained sand or pebbles and crystal clear waters that will enchant you. Ambelakia, Atherinos, Pasoumaki, Limonari, Spilia, Elia, Ai Giannis are just a few of the beaches in Meganisi where you will enjoy unique moments of unwinding in a verdant seaside setting. 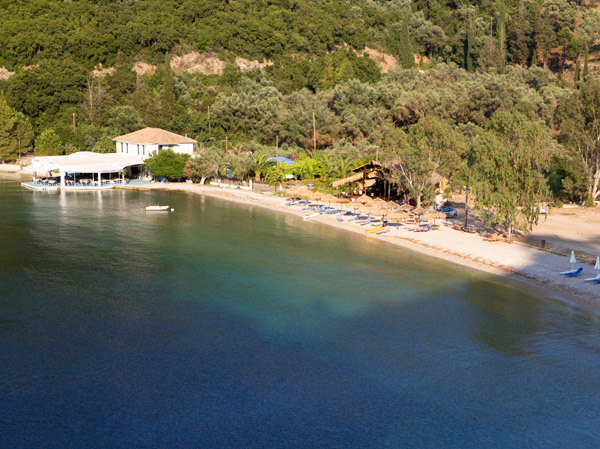 Wind surfing lovers can enjoy their favourite sport at the beach of Ai Giannis. 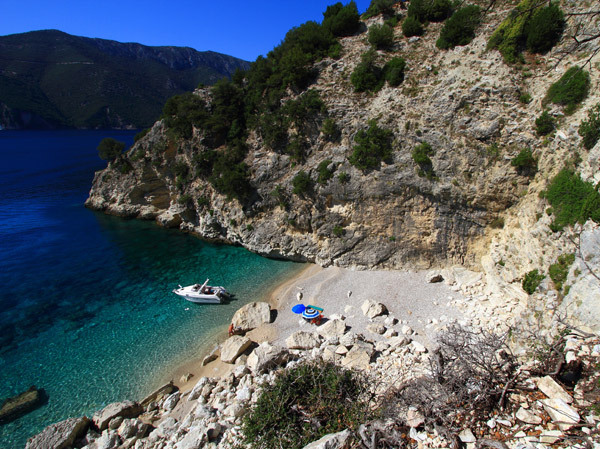 We suggest... Take a daily cruise around Meganisi Island to discover untouched beaches and breath-taking natural beauty. 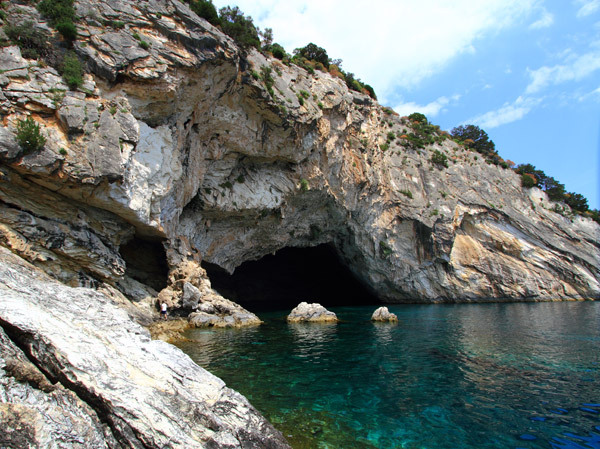 At the south-western tip of the island the cave of Papanicolis, the cave of Giovannis and Demon’s Cave are waiting to be explored. The cave of Papanicolis is the most popular of the three. It is 30 meters deep and there is a stretch of sand inside the cave. 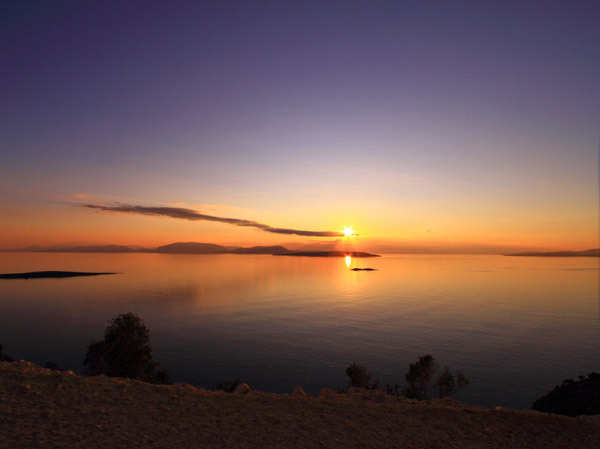 Scorpios IslandScorpios is part of Meganissi municipality and is one of the most well-known private islands in Greece. It was bought by Aristotle Onassis in 1963 and belongs to the Onassis family till nowadays. Scorpios was the one true love of Aristotle Onassis who turned it into a paradise on earth by having exotic trees and plants planted throughout the island and getting an imposing mansion built. Some of the most legendary stars and celebrities of the time (1960 -1970) were hosted at this mansion, including members of the Kennedy family, Maria Callas, Greta Garbo, Winston Churchill, etc. Thousands of tourists travel to the Ionian Islands every year to take a trip around the island that the ‘Greek Croesus’ adored, and admire from a distance (since disembarkation is not allowed) its unique natural beauty and splendor.